The outbreak of war in 1914 saw the major combatants draw heavily on their empires, dominions and colonies. The use of West Indian and African soldiers in the various armies provided much needed manpower in fighting the war but also gives a clear insight into the attitudes and prejudices that existed towards these men. 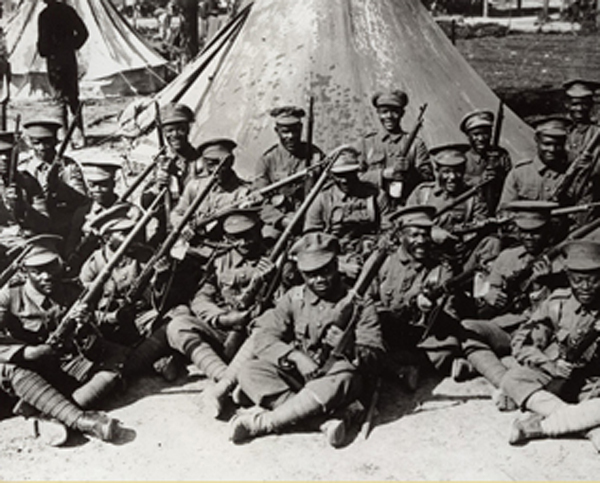 Once war was declared in 1914, the West Indies offered to send contingents of men to fight alongside Britain. The British West Indies had been part of the British Empire since the 17th century. Only two years before the start of the First World War they had been divided into eight separate colonies, the names of which we are now familiar with today: The Bahamas, Barbados, British Guiana, British Honduras, Jamaica (with dependencies Turks and Caicos), Trinidad and Tobago, the Winward Isles, and the Leeward Isles. In total, 16,000 soldiers were recruited in the West Indies along with 4,500 volunteers who were also sent to the war. [l]ogistical issues, coupled with racist prejudices and opposition from colonial authorities in Africa, resulted in a renunciation of using such troops on European battlefields. Non-white men were also banned from the “South African Overseas Expeditionary Force” that sent about 30,000 soldiers to France. Black and “coloured” men from the Union of South Africa served in Europe in the “South African Native Labour Contingent” (21,000 men), the “Cape Auxiliary Horse Transport” (2,800 men) and the “Cape Coloured Labour Corps” (1,200 men), all of them in unarmed ancillary roles. However, a number of blacks resident in the United Kingdom managed to enlist in metropolitan British forces and some of them were even promoted to officer ranks. Additionally, the German army was fiercely opposed to the use of black African soldiers in Europe going so far as to produce a pamphlet entitled Employment, Contrary to International Law, of Colored Troops in the European Theatre of War by England and France which suggested that colonial soldiers were perpetrating a variety of war crimes and atrocities on German soldiers such as the cutting off of ears, hands, or heads as trophies. Stories about this sort of behaviour were rife in the British and French armies as well but were often anecdotal or slightly removed from the actual supposed incidents themselves. The nature of these atrocity reports was often complicated by different perceptions and notions of warfare and the supposedly barbarous nature of some of the colonial combatants. Ongoing German propaganda often portrayed black soldiers as uncivilised or barbarous demons or apes who would sweep away all forms of pre-war civilisation. Allied propaganda would attempt to counter these arguments by referring back to Germany’s supposed lack of civilisation for starting the war in the first place, but would also represent their own black soldiers in similar ways or portray Germany in a manner which echoed similar racial stereotypes. Men from the West Indies arrived in Sussex prepared to fight side by side with the British army. A camp was created at Seaford to be used to train and prepare the 1st Battalion of the West Indies Regiment for the fighting taking place in Europe and beyond. However, much like the Indian soldiers initial deployment in France or the men of the Chinese Labour Corps the soldiers arriving from the West Indies did not have an easy acclimatisation to Britain or Europe. The initial journey to Britain was hazardous and, when their ships were diverted via Halifax in Canada, hundreds of men were left with severe frostbite. Many had to be sent back to the West Indies as unfit to serve and were given no compensation or benefits. The South Coast Leader recalled on December 7th 1995, that the winter of 1914/15 was particularly cold and harsh. The West Indian soldiers were confined to their poor accommodation and unsuitable clothing for the duration of the winter and, as a result, their health and morale began to suffer. Following this, a bout of peneumonia which had afflicted numerous men and an epidemic of mumps then swept through the camp. I have great pleasure in informing you of the gallant conduct of the machine-gun section of the 1st British West Indies Regiment during two successful raids on the Turkish trenches. All ranks behaved with great gallantry under heavy rifle and shell fire and contributed in no small measure to the success of the operations. Thousands of men from the West Indies had campaigned vigorously to be allowed the right to fight alongside Britain at the start of the war. However, in a cruel twist, by the war’s conclusion the West Indian soldiers were on the verge of mutiny in the Italian camp of Taranto. 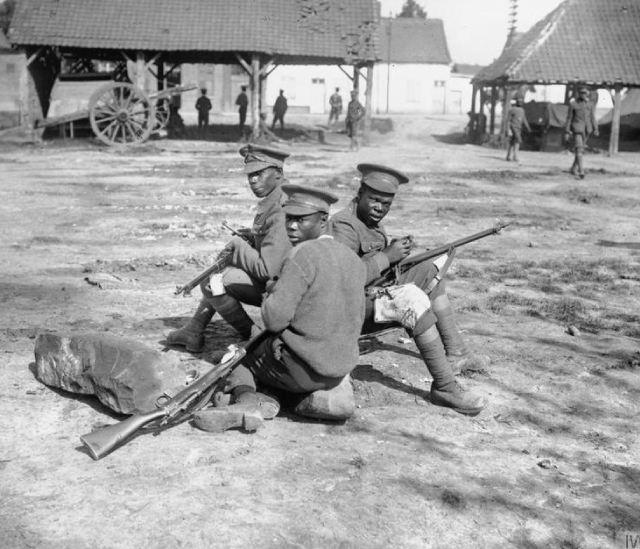 Manpower shortages had left the West Indian soldiers facing hard physical and demeaning labour, such as the building and cleaning of toilets for white soldiers, and the later discovery that white soldiers in the camp had received pay rises whilst they had not, tipped the regiment over the edge. The mutiny lasted for around 4 days and, at its conclusion, 60 soldiers were tried and convicted of mutiny. Most received prison sentences from 3 to 5 years while one soldier was sentenced to 20 years in prison and another was executed by firing squad. The mutiny may have subsided but the feelings behind it had not, with many West Indian soldiers deciding that they would strike for higher pay upon their return to the West Indies. However, the islands of the West Indies had already been undergoing a series of violent strike actions over the final years of the war. Such was the concern at these that the British had moved naval warships into West Indian ports to quell the possible uprising. Fearing that returning West Indian soldiers to this environment may exacerbate the situation, the decision was taken to displace some 4,000 West Indian soldiers to Cuba and Venezuela and leave them there instead. Many would be forced to stay and never see their homelands again. 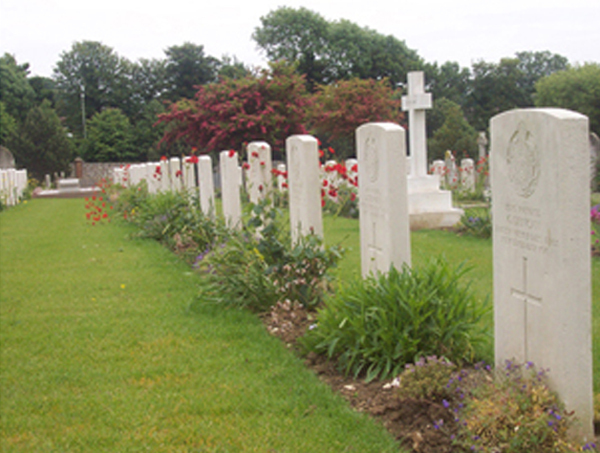 Nineteen West Indian soldiers died in the Seaford training camp and their bodies are buried in a military cemetery there. In November 1994, for the first time, a service was held there attended by Second World War veterans from the West Indies Ex-Service Men and Women’s Association of London. They were possibly the first to visit their compatriots in 80 years. In 2006, family members from the West Indies visited the graves of West Indian soldiers in Seaford.